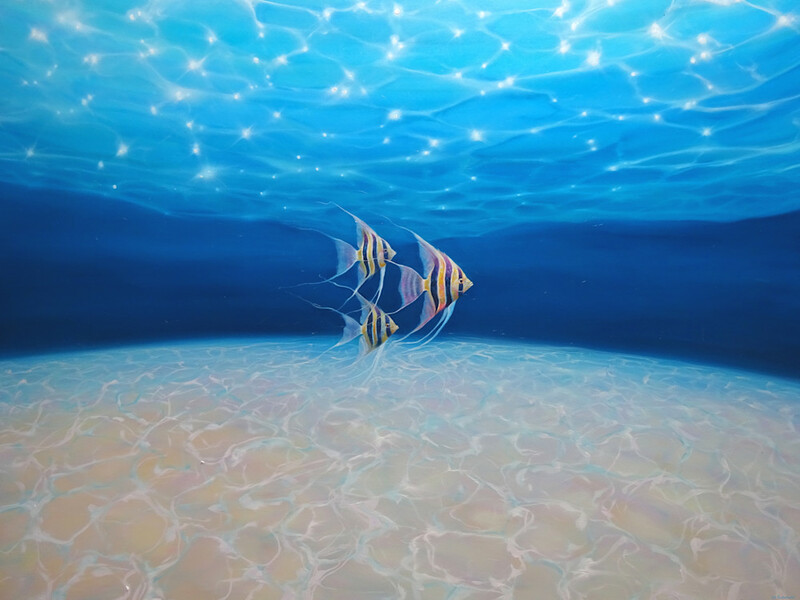 original oil painting of three striped angel fish under a crystal clear blue ocean. The light shines through he ripples of the water and bounces off of the sandy sea bottom leaving white electrical type patterns on the seabed. The three fish swim along as if in a ballet in close formation and unaware of being beautiful.